The final rankings are set to be released on Monday. This is the last weekend to correct any errors and fill in any missing season information. The NHFCS will be careful to monitor any erroneous or inconsistent data, and present the final report as early as Monday. In the past few days, a few games were reported which impacted the top ten teams. The Dallas vs Maryland game was entered after the Monday rankings. With just 7 days left until the declaration of a national champion, Lighthouse Chargers of Springfield Missouri has solidified their hold on the top national spot. Solid wins over other top teams has made a strong case for their claim. 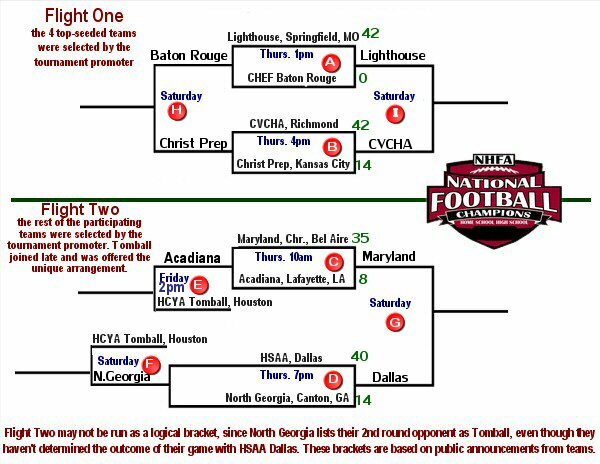 This past weekend the biggest postseason tournament in homeschool football history was held at Panama City Beach. 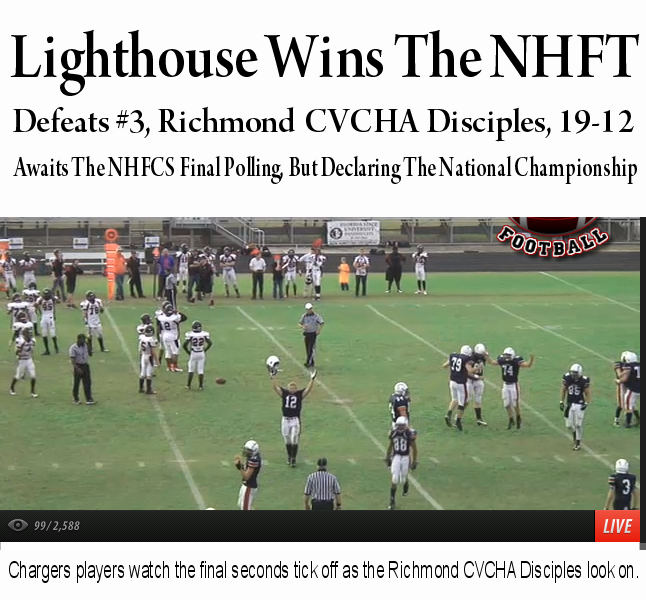 That final championship game pitted the #3 CVCHA Disciples (2012 national champions) against the #1 Chargers. The 19-12 final score verified the Maxpreps designations. Other teams bolstered their national rankings with their own postseason accomplishments. But other inactive teams let their past opponents do the work for them. Maxpreps includes a dynamic facter called "strength of schedule" which changes as a past opponent continues to thrive in the postseason. Many West Region teams had very strong public and private schools on their schedules. As those teams keep winning in tournament play, their past opponents (like Tulsa NOAH, OKC Legion, & Dallas HSAA) get slight 'bumps' in their rating. Tomball is the last team to play, this season. They made the finals of the Texas Christian Athletic League. Their last game is this Saturday, in the Cotton Bowl, against Deion Sanders' Prime Prep Charter School. 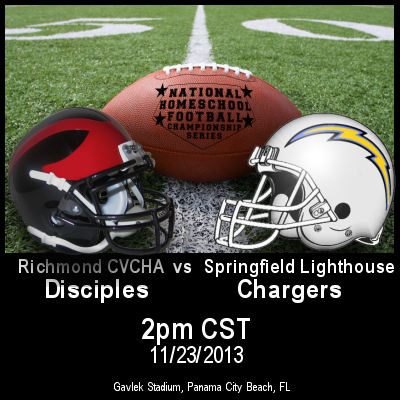 The Lighthouse Christian Chargers of Springfield Missouri defeated the #3, CVCHA Disciples of Richmond, VA; to make their final statement for the National Homeschool Football Championship. The Chargers fell behind early, but strong defense proved the difference as the Disciples went scoreless for about 3 quarters. Down 2-6 as the 2nd quarter started, the Chargers found just enough offensive tools to get back into the endzone twice, then added a field goal late. The defending national champion Disciples got a spark late and brought the score to 19-12, with less than 3 minutes left. Good ball handling and effective clock management were enough to bring the game to a close. Read the highlights and box score, here. The San Antonio FEAST Patriots upset the #1 Waco Methodists, today; in T-CAL Division 1 Six Man Football (42-31). 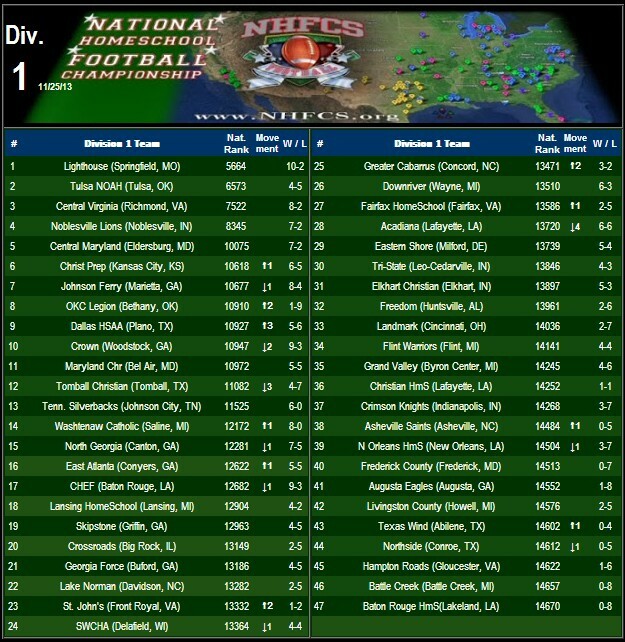 This not only places #2 FEAST in the title game next weekend, but it also bolsters the Texas team in a very close race for the NHFCS' Division 2 national rankings race, where they are currently in a near-tie with Evangel Christian of Alabaster, Alabama. In T-CAL's 11-man division, #9 Tomball 11-man will take on Prime Prep of South Dallas. Tomball is fresh off their national tournament debut' at Panama City Beach, where they narrowly lost to #7, Christ Prep of Kansas City. In a previous game Tomball Warriors shut out Acadiana Homeschool of Lafayette, Louisiana. This have been a very eventful week in championship football. 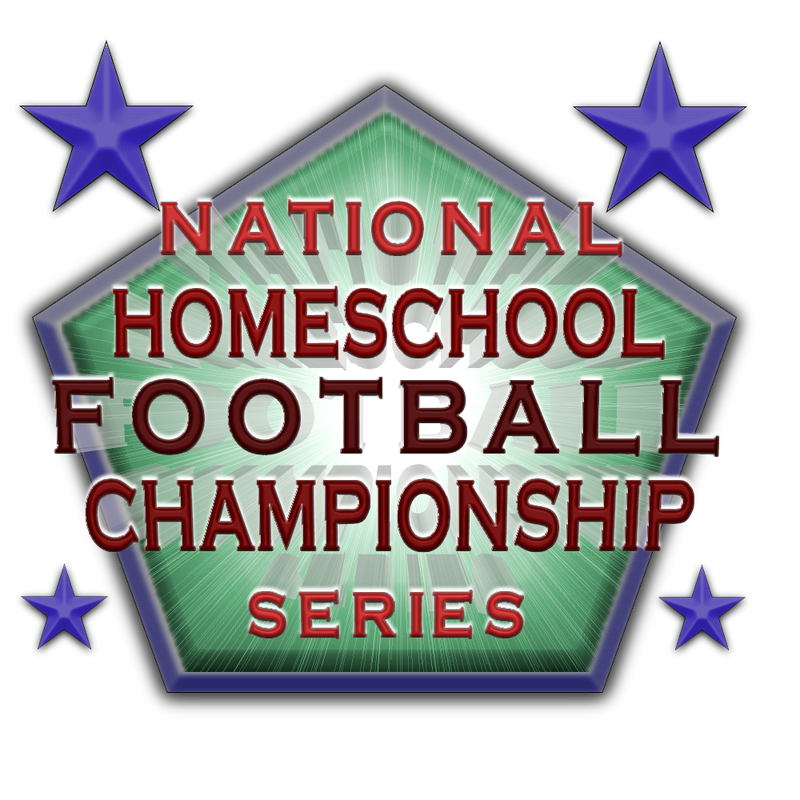 All in all, homeschools fill 4 of the 6 championship game slots in the big festival next Saturday, at the Dallas Cotton Bowl. T-CAL is a unique state sports league whose membership includes homeschools, private schools, and state charter schools. Perhaps based on the results of the Thursday & Friday games; and perhaps based upon the strengthened reliability of the Maxpreps rankings, The Saturday match-ups have changed. What has remained is the tournament championship game. Springfield Lighthouse will play Richmond CVCHA for the Flight-One title game at 2pm CST. Tomball (#9) has made a late and dramatic entry into the top 10 of the NHFCS Division One rankings. They shut out the Acadiana Commandos while Lighthouse shut out the CHEF Patriots (#16). NHFT promoter, Hank St. Denis had sought to give the Louisiana Champions an opportunity to compete in the top flight of the tournament, despite their lower ranking on the NHFCS national chart. 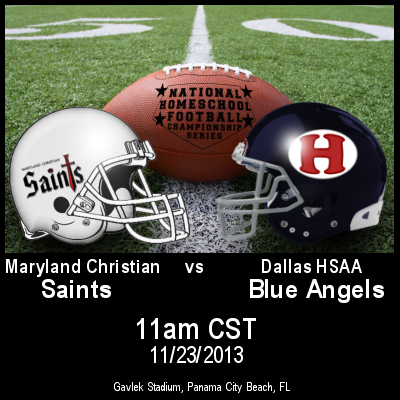 At 11am CST Bel Aire Maryland Christian will play Dallas HSAA for the Flight-Two bragging rights. These 2 games will be played at Gavlak Stadium, in Panama City Beach, Florida. 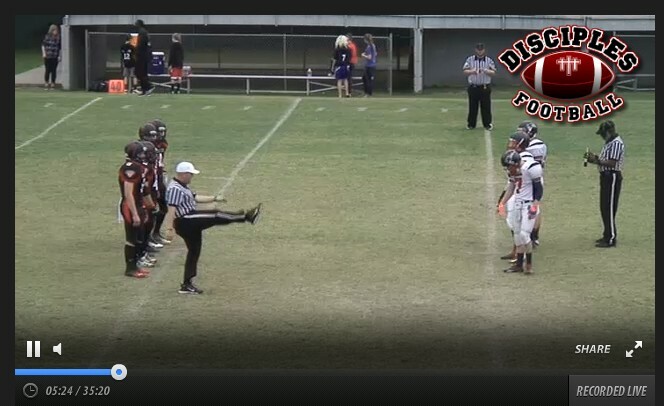 Since CVCHA is providing the webcast we enjoyed on Thursday, we expect that the Gavlek Stadium games will also be shown on the Disciples Football Channel. But North Georgia and Tomball just removed their match-up from their Maxpreps schedule pages and in their place we have the games below: Hank St Denis' webcast channel will provide live TV coverage from the Pete Edwards Stadium. The great folks with the Richmond Disciples team are stepping up in a big way, to provide additional web coverage of the action at the National Homeschool Football Tournament. It may not be an army of production guys rolling up in a semi trailer with a satellite uplink dish, but these guys do their best and keep the thousands of fans all over the nation informed of the competition and excitement. If you got to their Usteam channel ( Ustream.tv/channel/disciples-football ), you can chat live during the games, with other fans around the country. Tough defense, power running & physical control of the line. That's how Maryland dominated the game. The athletic talent of the Acadiana passing machine was mostly neutralized by a disciplined Saints secondary. It was a fine-tuned complete game for Lighthouse. Along with some costly mistakes for CHEF when they had momentum. Especially when the Chargers stripped the ball in the red zone and took it to the house. The Richmond machine just had too much depth and talent for the Christ Prep Patriots. Solid play on both sides of the ball, and limiting mistakes. The 2nd quarter was devasting for the underdogs from Kansas City. It's obvious that the Disciples' coaches teach discipline. This was expected to be a 'wildcard' with two evenly matched teams. It was known that Dallas had sustained devastating injuries in October, but no one knew if they would be back to their late-september form. They erased all doubts with a big win going away. Those who sought to follow the tournament from several states away, were pleased with the webcast effort by Richmond's boosters. The NHFA staff helped get some technical issues solved and the entire nation got to see all 4 games live. As the day wore on, the sound was added and more scoreboard shots were injected. Hopefully the sound quality will get additional tweaking and maybe some fans will jump in to add more color to the games. We at the NHFCS urge all teams to secure the services of a willing homeschool co-op class on mass media, to make the games available every week. We're sure that Tournament Director, Hank St. Denis would love to find just the right person to assist as a media director for future tournaments. Maxpreps needs to get these games credited to all the teams' rankings just as soon as possible. Get the upcoming games on your schedules so the results will be reflected in the newest ranking updates this Monday. The Media is following the developments of the NHFT and projected the outcomes, based on the computer data which has been compiled over the entire season, for each team. It's not perfect, and it doesn't reflect some factors like the health of the team and the game-time weather conditions. A dramatic thriller is emerging at the top of the Div. 2 charts. Evangel has completed their schedule, but with FEAST nipping at their heels.